Hanging rolling rack is use in garment retail store, garment exhibitions, events & also in fashion shows.Hanging rolling rack comes with heavy duty castors at base for easily movement. Our organizations have come up with an extensive array of Roll out Rack. They are highly used as multi storage machines to keep it safe and perfect. They are manufactured with steel and metal. They are available in many speculations too. The cost of this array is also very nominal. 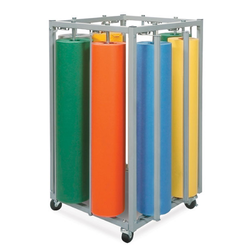 Backed by our state-of-the-art facility, we are offering our clients a broad gamut of Modular Cloth Roll Rack. These racks are specially designed to store the cloth piles in efficient and safe manner. Offered at industry leading prices, these roll racks are durable and can also be availed in customized forms. We can provide these racks as per the desired capacity and size. We are leading manufacturer and supplier of roll racks that are widely used in different industry. These are in great demand from our buyers and are manufactured by state of the art technology. These are known for their robust coinstruction, high life and low maintenance. 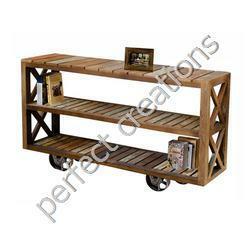 We manufactures the best quality Roll Racks.